Growing up, my family had music blaring from our house. And it could be heard easily since, living in Atlantic Canada, we didn’t have air conditioning (we didn’t need it for most of the year and on the days that required cooling off, we relied on the mostly-present breeze), so we kept our windows open during the summer. My brother, sister and I had the “MacDonald Trio” that sang regularly in area churches, and we’d often practice in our living room with my Mom accompanying at the piano. Our Dad, who was the “sound guy” at our church, would sit away from us and exhort us to “sing louder”. He would chide us if we didn’t project, and tell us not to rely on the microphones at the churches we’d be performing for. It wasn’t until I was an adult that I realized the oddity of always practicing in front of our large living room window with all the other windows wide open. I guess, as we sang our gospel songs, it was a form of evangelism to our small community. From my early trio days to my college choir days, I’ve learned that if you want the sound to carry farther, you have to sing in unison. The harmonies, though sounding rich, lush and deep; ultimately don’t combine to create the loudness of having the entire group unified. 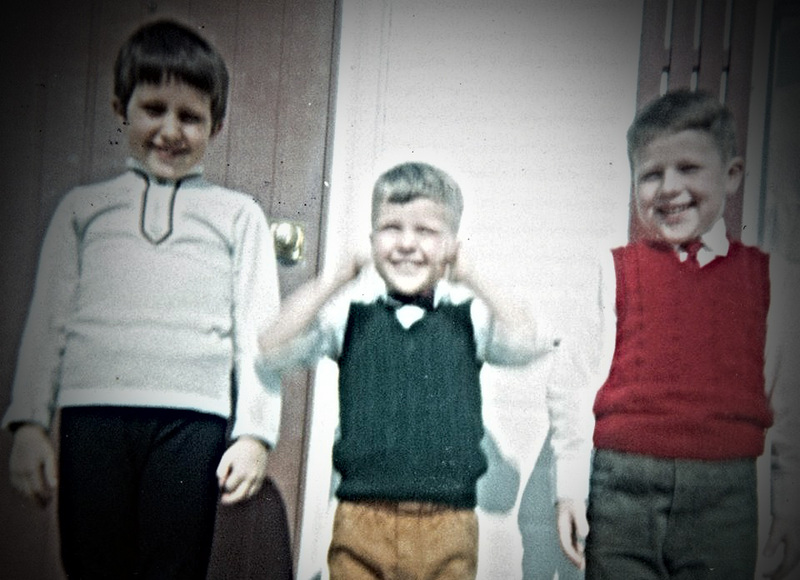 In fact, my Dad said he’d turn our microphones almost off when we sang an entire verse with us all singing the melody. 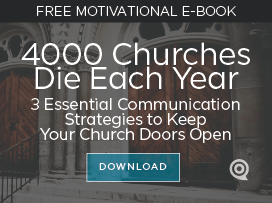 Do you have a church message that NEEDS to get out strongly? Reach farther? Then you have to say it in unison. Stop creating every communication piece “fresh” each time. Don’t let every ministry design and communicate their messages wildly different from your overall church marketing. Even the Bible has the unifying “crimson thread” of Christ’s blood winding it’s way through all the books of the Bible. And it loudly communicates His love when you concentrate on the melody (and not the harmonies). Determine what the overall message of your church is (yes, one benefit-driven message). Determine the language, design, and rhythm of that huge message. Communicate everything in unison. Over and over. If you’re not getting tired of it, since you’re around it all the time, you’re not using it enough. Go out and “sing” the big benefit of coming to your church. Then tell them about Jesus and the power He has to save. And direct them to the individual ministry harmonies you have. Once the message gets out clearly, more people will enjoy the parts much better.